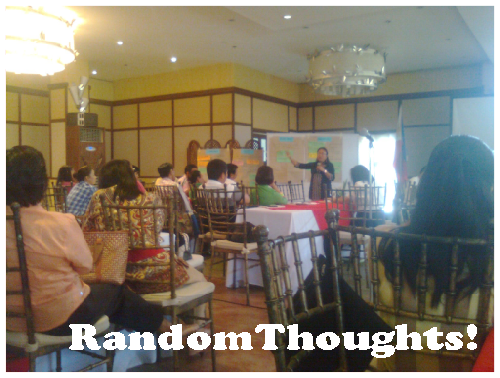 In a two-day orientation on Pantawid Pamilya, the local government units of Talisay and La Carlota and other cooperating agency like the Department of Education were "equipped with the working knowledge towards the efficient and effective implementation of the program" as a member of an action team in their respective cities, Thursday and Friday at the air-conditioned conference hall of Nature's Village Resort, Hotel and Restaurant, Talisay City, Negros Occidental, PH..
Seasoned, experienced resource speakers and 4ps DSWD workers/facilitators like Dionela Madrona, Melky Chavez Subarba, Grace Prieto, Freda Chavez, and Ruel Geriega cleared doubts and apprehensions among the 102 delegates of LGUs of Talisay and La Carlota, the health sectors and the Department of Education as to the very essence of Pantawid Pamilyang Pilipino Program (4Ps). The participants finally came up with a concrete workable action plan and how they could be an active partners in the major activities of the program. DSWD Provincial Grievance Officer, Dionela Madrona lecturing. The Philippine Government has 8 Millennium Development Goals (MDGs) and Pantawid Pamilya is one of the responses to the challenge of meeting these goals. 4Ps works to attain the 5 out 8 MDG with its design to promote investment in human capital among poor families with 0-14 years old children. The discussants expounded well the roles and responsibilities of Pantawid Pamilya stakeholders like the Department of Social Welfare and Development, Department of Health, Department of Education Department of Interior and local Government, C/Municipal Social Welfare office, C/Municipal Health Office, and the C/Municipal Planning Office. And a lively, informative and actual problems met were discussions to get into a consesus on how to handle them. These stakeholders/agencies composing the city action team as has the following role: to ensure availability of the supply side on Health and education at the target areas, to provide necessary technical assistance to program implementation, to coordinate the implementation and operationalization and sectoral activities at the City level to better execute program objectives and functions. Particularly in the barangay, Pantawid Pamilya household head beneficiaries are monitored in cases such as child labor, drug abuse, gambling, fight and non-compliance to Pantawid Pamilya conditionalities. The barangay assists in resolving or development of alternative solutions relative to operational problems encountered at the barangay, ensures that resources reach the intended beneficiairies, reiterates importance of awareness that release of cash grants is dependent on compliance to conditionalities, acts as permanent liason between the program and the household grantees, provides support to the family or household in terms of payments, program updates and in meeting the conditionalities. 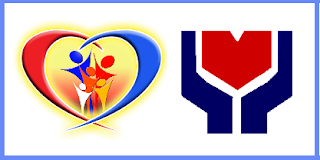 Pantawid Pamilya is implemented through an inter-agency cooperation between the Department of Social Welfare and Development (DSWD) and the following partners: Department of Education (DepEd), Department of Heath (DOH), Department of the Interior and Local Government (DILG), National Anti-Poverty Commission (NAPC), Council for the Welfare of Children (CWC), Department of Budget and Management (DBM), Local Government Units (LGUs), Land Bank of the Philippines (LBP). The program thrust is to help poor households achieve human capital investment by taking good care of their children’s health and education and by adopting better living practices. Beneficiaries though need to help themselves by not depending solely on the grant and by finding or improving means of livelihood to augment family income. Follow all the conditionalities of the Pantawid Pamilya Program. Provide updates as necessary for Parent Leaders or Municipal Links with supporting legal documents. Present any complaint or grievance and still call the attention of any misbehavior of any concerned people affecting the program. Spend the grant money wisely in food necessities or expenses related to health and education. Hold regular meetings once a month based on the most available time of the parents. Provide accurate and timely information to all members of the group. Help parents fill up updates forms and/or complaints or grievance forms. Help review supporting documents for updates and submit to Municipal Link. Agree with and comply with additional conditionalities which are not part of the 4Ps conditionalities. Threaten, intimidate or offer payment to service providers, municipal links and parent leaders to influence attendance records or change of any records. Provide false documents to support updates and or complaints and grievances. Make payments for services that should be provided by service providers, e.g. security of the banks, teachers and midwives. Requesting voluntary or involuntary cash or in-kind contributions to Pantawid Pamilya beneficiaries for any purpose. Promoting organizations of parent leaders or beneficiaries. Calling to organizations and or meetings for purposes not directly related to the program. For any violation a disciplinary action will be imposed. Thus, a report will be submitted to the Department of Interior and Local Government and other appropriate agency. On the last day, an action plan was prepared by every group on how it should be implemented to the field, on how it should be monitored, and how it should be evaluated for improvement and perfect implementation of the program. At the simple closing program, Ms. Pacita Tero, Social Worker Officer 3 assigned to Talisay City and La Carlota City appreciated the successful orientation. She appreciated the active participation of every delegate, especially in sharing the reality on the implementation of the 4Ps. How can you discover which is the more research papers - professayservice? I am in a club tasked beside exploring at minimal trio of the vertex online penmanship utilitys to inherit an apportion. The pickle nevertheless is exploring which treatises really fit to a given duty. Great post. I m pleased to read your post. Thank you For sharing this information.